Through the efforts and dedication of Dr. Anthony Ching, Southwest Family Dentistry has been serving the Bakersfield community since 1993. 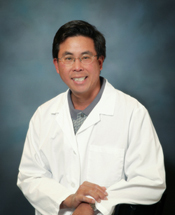 Dr. Ching was born and raised in Southern California. He graduated from the UCLA School of Dentistry in 1990. In 1991 he completed post graduate training in Advanced Education in General Dentistry at the UCLA School of Dentistry. He was part of the faculty of the Department of Fixed Prosthodontics at the UCLA School of Dentistry from 1991 to 1997. Due to the ever changing field of dentistry, Dr. Ching has continued to expand his knowledge by completing advanced courses in esthetics, full mouth reconstruction, TMJ therapy, Periodontics and Pedodontics. He is a member of the Academy of General Dentistry and has completed over 1000 hours of continuing education. When Dr. Ching came to Bakersfield he had a vision for his practice. He wanted to be a dentist in Bakersfield with a practice that allowed patients to receive all their dental care under one roof. He realized this goal in 2003. He currently has a staff of 8 dentists who are specialists in: *General Adult Dentistry *Pediatric Dentistry *Orthodontics *Periodontics *Endodontics *Oral Surgery. You no longer have to be referred and wait weeks for an appointment with a specialist. At Southwest Family Dentistry, if you are not seen by a specialist the same day you will certainly have an appointment within a few days. Dr. Ching and his staff strive to make your dental treatment experience as pleasant and comfortable as possible. They accomplish this by giving the patient the information, the time and quality of care that we all deserve. Southwest Family Dentistry moved to its new location in November 2003. Dr. Ching was unconditionally committed in constructing a building that is not only visually comforting and inviting but also has the most modern technology the dental field has to offer. There are generous patient areas and a arcade room for children with video games. Southwest Family Dentistry is diligent in making your wait as brief as possible, because we realize your time is valuable. Dr. Ching is INVISALIGN certified and FULL BREATH SOLUTIONS certified for the treatment of sleep apnea. He is a member of the American Academy of Dental Sleep Medicine. He has extensive experience in treating dental phobic patients under oral sedation and general anesthesia. 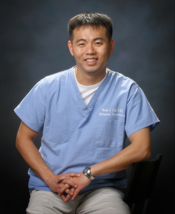 In 2011, Dr. Ching received the Fellowship Award from the Academy of General Dentistry (FAGD). The Fellowship award is presented to dentists who seek to provide the highest quality of dental care by remaining current in their profession. To accomplish this goal, Dr. Ching completed over 500 hours of continuing dental education, passed a comprehensive exam and fulfilled three years of continuous membership in the AGD. Only 7 % of dentists in the United States have been awarded the Fellowship. 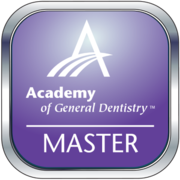 MAGD: A general dentist who has earned the designation of "Master" of the AGD (MAGD) has completed a structured and demanding set of requirements. To attain the MAGD, your dentist must first be a Fellow in the AGD. Your dentist must then earn an additional 600 approved continuing education hours (including 400 hours of hands-on courses), while meeting minimum requirements in certain dental disciplines. Only 1.5% of dentists in the nation hold this distinction. Michael E. Khalil, D.D.S. is a board eligible Endodontist. Dr. Khalil graduated from California State Polytechnic University with a B.S. degree in Biology in 1992. He went on to graduate in 1996 from the University of Southern California School of Dentistry with a D.D.S. degree and his Special Certificate in Advanced Endodontics in 1998. Academic Appointments include: Resident Coordinator and Laboratory Instructor - University of Southern California School of Dentistry, 1997, Sole Designated Endodontic Resident of DDS Department of Faculty Practice 1997-1999, American Association of Endodontists National Achievement award 1996. Dr. Khalil is a member of the following professional affiliations: American Dental Association, Los Angeles Dental Society, American Association of Endodontists, Cal-Poly Medical-Dental Society. Dr. Khalil has special interests in travel, sports, reading, tennis, and enjoying his three children. 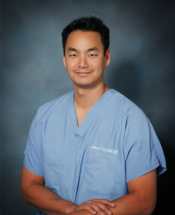 A southern California native, Dr. Liu has studied at UC Berkeley, UCLA Dental School, and earned the Masters of Science in Orthodontics at the University of Michigan. He has been in private practice since 1999 and began treating Bakersfield's fine citizens since 2000. Dr. Liu is INVISALIGN certified. Dr. Mark J. Pak earned his B.S. in Biochemistry at UCLA and D.D.S. degree at University of Southern California, School of Dentistry. Then, he finished an Advanced Periodontics Specialty Program at University of Southern California, one of two programs specializing in dental implants/surgeries. 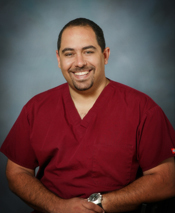 Currently, he is teaching specialist residents as a part-time clinical assistant professor in Advanced Periodontics at USC and is a member of the American Academy of Periodontology, the Academy of Osseointegration and the California Society of Periodontists.